An Authors Guild statement frames a week that includes both Simon & Schuster’s release of a controversial Trump tell-all and a coordinated exercise of resistance in the news media to Donald Trump’s attacks. In doing this, the guild is putting the weight of its 10,000-person membership—based mostly in the books industry—behind its colleagues in the news media. And the timing is interesting, as this week opens (August 13), on two levels. On Tuesday (August 14), Simon & Schuster’s Gallery Books releases the White House tell-all, Unhinged: An Insider’s Look at the Trump White House. 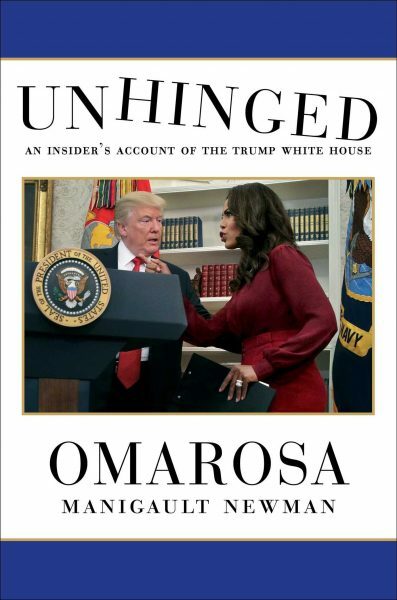 Its author, Omarosa Manigault Newman, of course is best known as a disgruntled, fired White House aide to Trump and one of his 2004 contestants on The Apprentice. She’s also a former vice presidential aide in the Clinton White House. 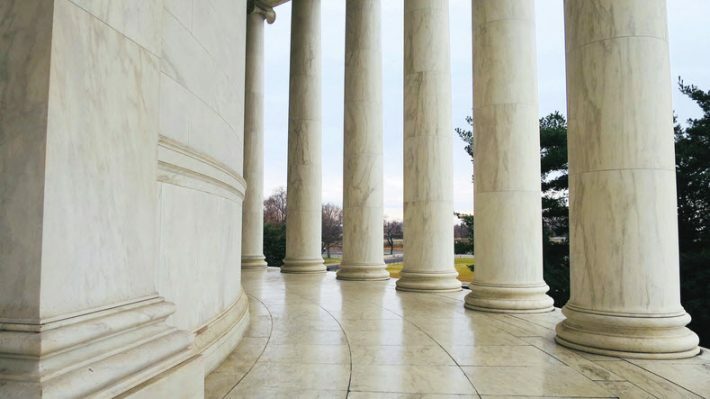 The title may be among the most controversial of the political season since the release of Michael Wolff’s Fire and Fury: Inside the Trump White House in January by Macmillan’s Henry Holt. Fire and Fury elicited a cease-and-desist attempt from Trump and his attorneys, an effort that proved a non-starter in Macmillan’s withering response. Michael Cader at Publishers Marketplace reports that the first print run of the Manigault-Newman book is more than 400,000 copies, with additional copies for territories outside the States. 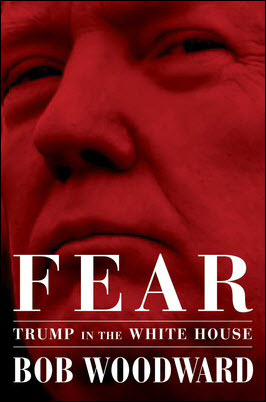 Another Simon & Schuster title that may get an even larger first print run, Cader writes, is the newly announced Bob Woodward title, Fear: Trump in the White House, which has a release date of September 11. Woodward became well-known, along with fellow journalist Carl Bernstein, for reporting on the Nixon Watergate scandal. This work won the two Washington Post reporters the Pulitzer in 1973, and their story was made into the feature film, All the President’s Men, in 1974. 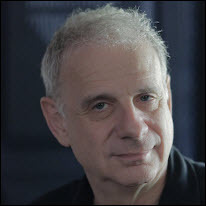 As CNN’s Brian Stelter is reporting on Reliable Sources, some who have seen Manigault Newman’s book are saying, “There are basic mistakes in the text … There was apparently a lack of fact-checking, a lack of editorial rigor associated with this book,” complaints familiar from the release of the Wolff book early in the year. At The Washington Post, Jill Colvin today (August 13) is reporting that national security specialists are questioning Manigault Newman’s having made secret recordings at the White House, while political analyst and author Jeff Greenfield warns that the assertions of the president’s declining mental capabilities in the Manigault Newman book are compromised by the author’s previous staunch defense of Trump before she was dismissed. The timing of the Authors Guild’s position statement also dovetails with this week’s effort by more than 70 news organizations to produce independent opinion pieces about Donald Trump’s attacks on the media. That unprecedented cooperative move, scheduled for Thursday (August 16), is led by the editorial board of The Boston Globe. Opening its own statement in Press Freedom Under Siege with, “Democracy cannot exist without a free press that has unfettered access to information from all levels of government,” the Authors Guild’s rationale for its administration’s concern focuses on the actions taken on July 25 by the White House against CNN political reporter Kaitlan Collins. Collins, who had been the network Oval Office “pool reporter” that day (representing all the major television news outlets, not only CNN) tried to ask Trump about his reaction to the comments of his former personal attorney, Michael Cohen. She asked her questions, as is traditional, at the end of a photo op. She was then told by communications director Bill Shine and press secretary Sarah Sanders that her questions were “inappropriate”—and that she could not attend a Rose Garden news event that afternoon. “We find this terrifying,” the Guild writes. “Schoolchildren know that this is what the First Amendment was written to prevent. It highlights the necessity of speaking out,” not least because the guild’s membership includes journalists, and the organization is affiliated with the International Federation of Journalists. The guild is stepping forward in support of a measure on Capitol Hill, one that many in the run-up to the November 6 midterm elections in the United States will see as a test of the willingness of the Republican Party to rebuke Trump, even as the GOP tries to hang onto its majority positions in both houses of Congress. More from Publishing Perspectives on the freedom to publish is here.